You might have heard that taking aspirin on a daily basis can help prevent heart attacks, but is it really such a good idea to regularly take medication if nothing is wrong with you? According to a new study published in the Journal of the American Medical Association, the answer to that is a resounding No. Researchers in London examined the overall effects of taking aspiring regularly on people who do not have cardiovascular disease. Although they did find that these people had a lower risk of cardiovascular events like heart attacks, they also had a far greater risk of experiencing major bleeding episodes. The researchers looked at trials involving more than 1,000 people who had no cardiovascular disease history. Some took aspirin while others took a placebo, and they were followed over the course of 12 months. According to their results, the aspirin was associated with an 11 percent lower likelihood of a cardiovascular event, which sounds like good news on the surface – until you learn that the use of aspirin was also associated with a 43 percent greater chance of major bleeding events, with one out of every 200 people treated with aspirin experiencing a major bleed. They also discovered that aspirin use did not impact new diagnoses of cancer or death. It’s important to note that much of the evidence of aspirin benefiting heart health has been seen in people who had previously experienced a heart attack or stroke; its power to prevent initial cardiovascular events is far less certain – and some studies have shown it doesn’t benefit anyone. He went on to add that there is no clear path for those with a higher risk of cardiovascular disease given the higher risk of major bleeding events that aspirin use brings about. At the very least, patients should be aware of the risks they are taking on if they do choose to go the aspirin route. This is far from the first study to show that aspirin isn’t really the great preventive measure that those who make and sell it would like you to believe. For example, a study of 19,000 people aged 65 and older with no cardiovascular disease found that taking aspirin did not reduce a person’s chances of a heart attack over an average period of 4.7 years. In addition, the researchers concluded that the risks outweigh the benefits, with people who took aspirin daily being more likely to die overall in addition to experiencing potentially life-threatening serious bleeding events, such as intracranial bleeding and gastrointestinal hemorrhaging. A different study from 2016 revealed that taking aspirin did not decrease the risk of stroke and heart attack in those who have diabetes or peripheral arterial disease. 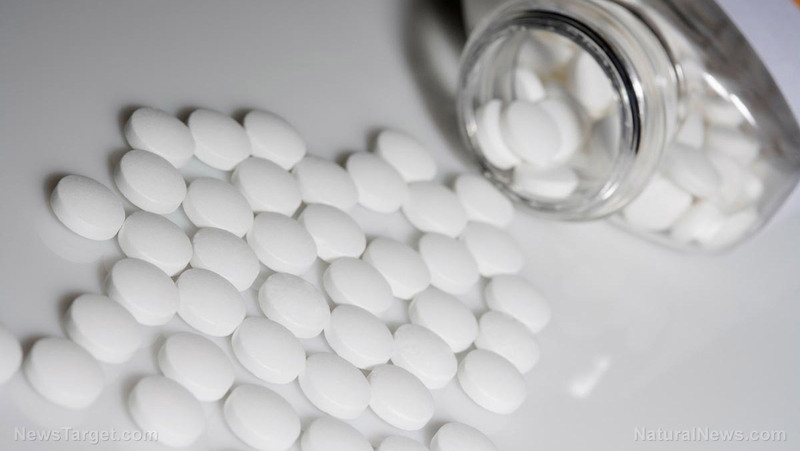 That study looked at nearly 1,300 patients over eight years, and it found the incidence of stroke and heart attack for those who took aspirin daily were similar to those who took a placebo. It would be nice if reducing your heart attack risk was as easy as popping a pill every day, but there are no shortcuts to good health. A far more valuable approach would be consuming a healthy, organic diet rich in fruits and vegetables, exercising regularly, staying at a healthy weight, and quitting smoking. These lifestyle changes are proven to be effective at enhancing cardiovascular health – without the excessive bleeding risk!